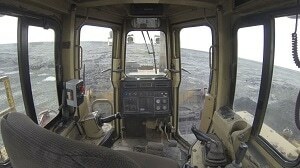 The Caterpillar D8R loader is now equipped with a remote thanks to RCT. RCT were able to retrofit a Caterpillar D8R with remote technology after other remote companies said it was virtually impossible. 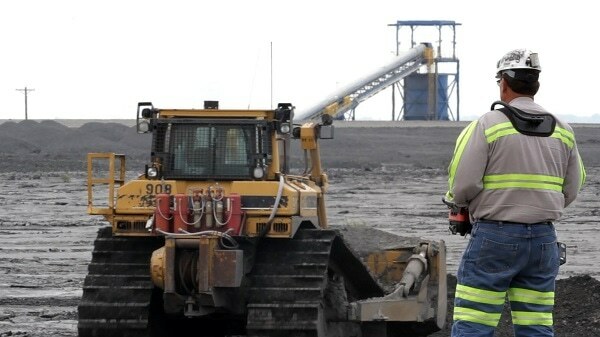 In order to adhere to America’s Mine Safety and Health Administrations (MSHA) new regulations to remove operators from dozers pushing coarse coal refuse into a tailings pond, Alliance Resource Partners looked to remote its two dozers at its River View Coal mine in Uniontown, Kentucky. While its Caterpillar D6T was a straight forward installation, its older model Caterpillar D8R was more complicated and deemed virtually impossible by other remote technology companies. However RCT was unconvinced. With a reputation for being able to adapt its technology to ANY MACHINE, it was keen to rise to the challenge and retrofit its ControlMaster® Line-of-Sight Remote Dozer System (ATX2200). This was successfully completed by RCT’s Custom team – a dedicated projects team with the resources and expertise to find the answers to problems and adapt current systems. While the deployment of the remote system to the D6T dozer was standard, the D8R required extensive hardware to be fitted in order to achieve all functions remotely. This feat was not only a first for the RCT team, but most likely the first D8R to be put on remotes ever before. RCT Custom Projects Manager John Androvich described the D8R installation as an extremely challenging job; however this didn’t discourage him and the team from tackling it head on. It was a massive task as the D8R was about 15 years-old so it was all mechanically driven, whereas most new models we deal with today are now electric. The process required a collaborative approach; with the Custom team engaging with RCT’s development team, a hydraulics specialist and a machinist to hand-make some of the componentry. The project required the team to convert the machine to electric, before converting it to hydraulic and then back to mechanical in some instances. Mr Androvich credited his experienced team for the success of the job as the mechanical aptitude required to understand the machine was extensive.